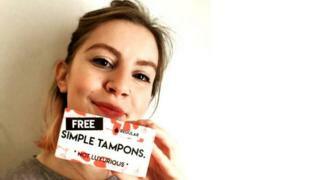 A student has used part of her university loan to pay for free tampons for fellow students. Daisy Wakefield, who studies drawing and print at the University of the West of England (UWE) in Bristol said period poverty was “an urgent issue”. She said she was forced to take action because she was “tired” of the university “not addressing the crisis”. Get The Lowest Interest Rate On Your Mortgage For The Least Points And No Junk Fees. The UWE said it was prepared to meet students to “understand if there is an emerging need for this”. Ms Wakefield has spent £100 on the campaign, which includes 40 specially-designed boxes filled with tampons, even though she said she “can’t particularly afford to”. She said: “I wanted to show all universities that if one individual can buy, package and distribute enough sanitary products for all campuses, each university most definitely can. She said some universities – including Glasgow, Edinburgh, and Exeter – already provided sanitary products for students in need. Why can’t we talk about periods? In a statement, UWE Bristol said: “Period poverty is a global issue and we’re pleased UWE Bristol students are passionately advocating for change. Ms Wakefield said she has yet to be approached by the university to discuss the matter, but is due to meet with representatives from the student union next week. Chancellor Philip Hammond announced in his Spring Statement the government would fund a scheme to provide free sanitary products in secondary schools from September.